Welcome to Best Accounting Schools, your resource for finding the top accounting schools and degree programs. With the right degree, graduates of different accounting programs are able to find the position best suited to fulfill their goals. 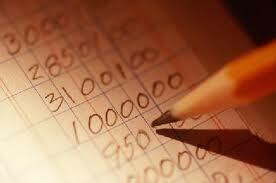 Accountants handle a number of the financial systems of all types of organizations. In addition to recording financial transactions, accountants also report and analyze the various financials of organizations in order to drive decisions, formulate recommendations, and create changes to increase profit and make improvements in everything from operations to purchasing. When choosing a program, prospective students have a number of things to consider, and one is whether or not the field of accounting is a good fit for them. Accountants have a unique set of skills, qualities, and traits. In addition to mathematical and analytical skills, accountants should also have knowledge in general business operations, customer service, and information technology. Other traits that are helpful in the accounting field are leadership, communication, attention to detail, and honesty. Once the decision to enter into the accounting field has been made, the next step is to consider what type of degree to pursue. Undergraduate and graduate degrees are available for those interested in entering into the accounting field. In many cases, students enter into a general undergraduate program that encompasses all types of accounting. At some institutions, undergraduate students can specialize in bachelor’s degree programs such as forensic accounting, internal auditing, public accounting, and accounting management. Students can also choose to pursue a bachelor’s degree in business administration with a specialization in accounting. Graduate students often pursue a master’s in accounting, master’s in taxation, or master’s degree in business administration with a specialization in accounting. There are a number of factors that can help prospective students identify the program that is right for individual goals and needs. After deciding on which program to complete at either the undergraduate or graduate level, students need to evaluate each school for ranking and accreditation in order to get the best education possible and gain the knowledge and skills needed to be successful in an accounting career. In the United States, the U.S. Department of Education and the Council for Higher Education Accreditation recognize six regional accreditation agencies: Middle State Association of Colleges and Schools, New England Association of Schools and Colleges, North Central Association of Colleges and Schools, Northwest Association of Schools and Colleges, Southern Association of Colleges and Schools, and Western Association of Schools and Colleges. Accreditation is essential for several reasons. First, it increases the likelihood that courses will transfer to another institution if desired, and, second, programs that are accredited are most likely to be recognized by employers. Regional accreditation ensures that a program and postsecondary institution has been evaluated by a governing board in education to determine that the curriculum and programs are high quality. Students in accounting should check for both regional accreditation for their institution and program, as well as for additional accreditations through the Association to Advance Collegiate Schools of Business and the Accreditation Council for Business Schools and Programs. Prospective students can also evaluate potential schools based on ranking. A number of independent organizations rank institutions and individual degree programs based on a variety of factors, from faculty to student ratio to graduation rates. One popular and reliable ranking system is the ranking report published each year by U.S. News & World Report, which ranks schools as well as programs at the associate’s, bachelor’s, master’s, and doctorate levels. Three accredited schools well known for high quality accounting programs at the undergraduate and graduate levels, and with high rankings in the U.S. News & World Report, are the University of Texas, the University of Pennsylvania-Wharton, and Post University. The University of Texas is ranked #1 not just for its undergraduate accounting program but is also ranked #1 for its graduate accounting program as well. At the University of Pennsylvania-Wharton, students can study at the institution founded by Benjamin Franklin, and students at Post University can choose from attending courses on campus in Connecticut or enrolling in the top ranked online programs in the United States. Numerous factors have influenced the career and employment outlook for the accounting field. One is the demand for transparency in finances of all types of organizations, from government agencies to private corporations. According to the Bureau of Labor Statistics (BLS), the accounting profession is expected to grow by 16%, which is the expected average growth for most positions in the United States. The demand for accuracy and transparency in all financial matters across all types of industry also creates the diverse opportunities accountants have for finding a position to suit their interests. Salary varies based on position. Accountants and auditors earned an average annual salary of $61,690 in 2012. Accounting managers and auditors typically earn higher salaries at the executive level, estimated at $101,250 by the BLS. Other positions that graduates of a degree program in accounting might hold include financial analyst, financial examiner, financial advisor, budget analyst, and revenue agent. Financial analysts earned an average salary of $74,350, financial examiners earned $74,940, budget analysts earned $68,200, and revenue agents earned $49,360. Education level plays a role in the determination of salary and type of position for accounting professionals as well. Managers in the accounting field often hold a master’s degree. Master’s degree employees usually have a higher salary range. In addition, a number of certifications on the accounting field change the amount of pay. 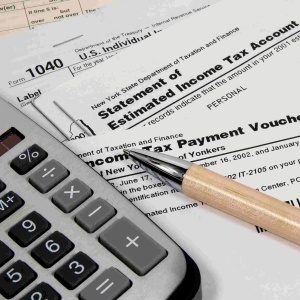 Certified Public Accountants (CPA) earn more than accountants who are not certified. Additional certifications for accountants include the Certified Management Accountant, Certified Financial Planner, Certified Internal Auditor, and Enrolled Agent. Salary is also partially dependent on region. Metropolitan cities typically have higher average annual salaries, and accountants with publicly traded corporations are typically paid higher average annual salaries as well. In addition, education level plays a role in determination of salary. Accounting is a rewarding profession, giving professionals in the field a number of avenues to take in order to match their individual skill and knowledge set to the right position and specialization. Thank you for visiting BestAccountingSchools.net!